Happy Friday! First of all, THANK YOU to everyone who submitted roundup requests on insta-stories this week! I’m really going to try to utilize you guys more moving forward – it helps me figure out what you want to see AND you then get helpful content! Win win! 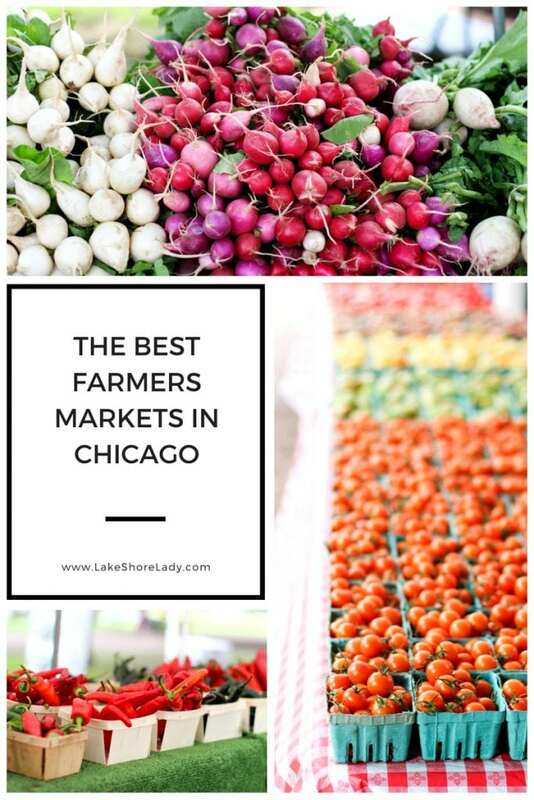 I was totally at a loss for what to post today, so I was thrilled when I saw the suggest for Best Chicago Farmers Markets. 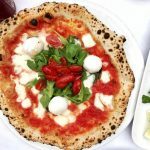 This is definitely the point in summer when we all have to make sure we get to the farmers markets, patios, and rooftops on our list… because the nice weather will be gone before we know it! I know, it’s still August – but you know how quickly it goes by! While I definitely have my favorite Chicago Farmers Markets, I love that there are SO many throughout the city. We even stumbled upon a super small one in North Center a few weekends ago – nothing fancy, but a great a place to get some berries and maybe a cute little succulent while you’re at it! Love! If you’re not sure if there’s one near you, this is a great resource. They list them ALL! But for now… my faves ? This is by far my favorite farmers market in the city. It’s located right on the edge of Old Town and Lincoln Park – aka walking distance from my old apartment. I personally love that they have great produce, but they also have vendors making amazing food with those great ingredients. We’re talking breakfast pizzas, tamales, smoothies and more! 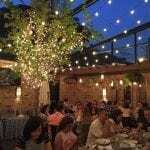 I actually included this market in my Favorite Brunches in Chicago post for that reason. You can find them outside at the intersection of Clark and Lincoln from May to October, or inside the Peggy Notebaert Nature Museum during the winter. Open Wednesdays and Saturdays from 7:00am-1:00pm. While I’ve only been to the Logan Square Farmers Market once, it’s definitely in line with the Green City Market. Tons of vendors, great produce and ready-to-eat food options, and a great community feel. While this farmers market runs year round, the outdoor season starts the second Sunday in May and runs through the last Sunday in October. Swing by Logan Blvd between Milwaukee and Whipple from 10:00-2:00pm this Sunday to check it out! This one always cracks me up because it’s literally in the middle of the Loop! I mean, Washington St and Clark St is one of the busiest intersections in the whole city! And yet, Thursdays from 7:00am-3:00pm between May and October, you can stop by for great produce, fresh lunch options, and so much more. In all honesty, I haven’t been to this one yet. BUT I love living up here and I totally trust my new neighbors when they say it’s awesome ? We also met the owner of Dinky’s Delights after taking a bite of their magical donuts at Ribfest, and he told us that he’s a vendor at this market, so… what else do we all really need to know? Fresh veggies and the most delicious mini donuts in the world? SOLD! 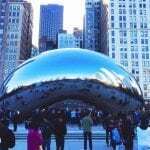 This farmers market is located in the City of Chicago municipal parking lot at the Western CTA Brown Line Stop every Tuesday morning and Thursday afternoon from June to October. Located right in Wicker Park (literally in the park), this farmers market is convenient for people who live in the neighborhood, without being right in the middle of a busy street. I never liked the market on Division in the Gold Coast for that reason – nothing about it felt relaxing. But the Wicker Park one is perfect for a slow Sunday stroll. If you live in the neighborhood, stop by between 8am-2:00pm on Sundays! 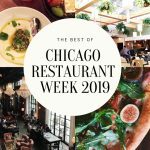 What is your favorite Chicago Farmers Market? PS. 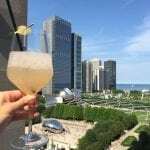 You might also like Best Patios in Chicago, Best Rooftops in Chicago, Best Coffee Shops in Chicago, and my Weekend Guide to Chicago in the Summer!